Find The Best Communities In Houston And Surrounding Areas. Discover The Best Builders At The Latest Master Planned Communities In Houston And Surrounding Areas! Please, send me more information on this property: MLS# 56908577 – $545,000 – 10202 Raritan Drive, Houston, TX 77043. Lovely Ranch style home with amazing floor plan. Large formals, Den, Kitchen, Breakfast and Sun Room with Wood Burning Fire place! Updated kitchen and baths in 2012. HVAC 2017, Ductwork 2019, Underground plumbing on East section of home 2017. Refinished original hardwoods, Dual pane windows, Roof 2012. Four bedrooms on East wing and mother in law, nanny or guest room on West wing. Huge Living Dinning combination, large den off kitchen bar area. There is also a large breakfast room area and Sun Room all opening to the Kitchen. Sunroom overlooks large fenced back yard. 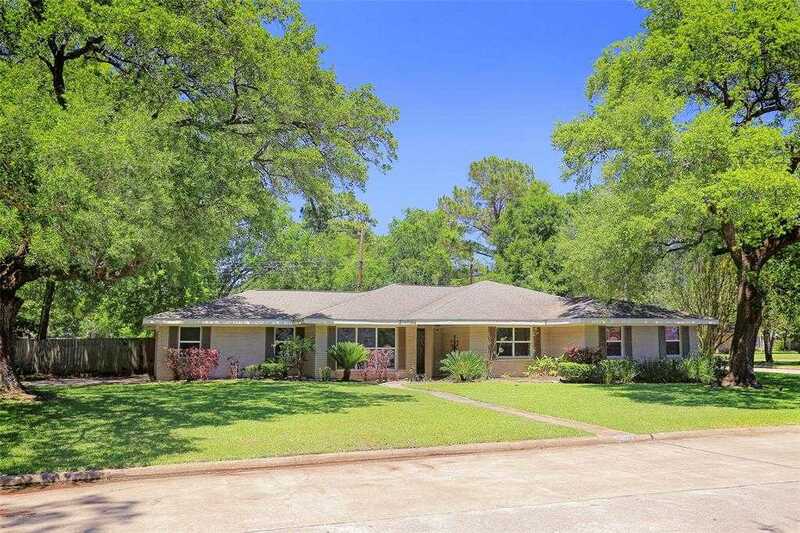 This lot is situated on a three sided corner and is huge with magnificent mature oaks trees in the front yard. This home is one of the largest homes on one of the largest lots in the area. Do you need to sell your home before you can buy? Let’s analyze your home value to help you decide if now is the time to make your move. Immaculate 4-5 bedroom 3 story town home with custom features galore. Geothermal HVAC system, separate ice maker, granite custom hard woods throughout and more. This home has a elevator closet in it (pre set up for an elevator to be added if needed)! Master bedroom has a large sitting room off it with an over sized shower and garden tub. This home is a very unique layout with entertaining space on the first floor (kitchen family room etc). All bedrooms have walk in closets with one having a Texas sized craft closet! the game room/media/5th bedroom is a terrific bonus to this house. You will love your full length driveway which you could park two cars on! You will love the view out back of single story homes on large lots and an abundance of pecan trees! The lots behind you are zoned to not be re platted or ever turned into town homes etc. Call today for your private viewing of what could be your spacious town home in Spring Branch ISD! IMPRESSIVE & SOPHISTICATED FREESTANDING townhome in the beautiful, gated Upland Park community. You will marvel over the countless upgrades & how well-appointed this gorgeous French-inspired beauty really is! Stunning wood flooring throughout paired with fabulous kitchen cabinetry upgraded to offer additional upper storage space & charming glass fronts for display (rare find)! You will greatly appreciate the FIRST-FLOOR living/kitchen area with soaring ceiling height, elegant gaslog fireplace, quality craftmanship, double-paned windows, magnificent Master Suite, huge walk-in closets, designer stair runner, and superb finishes! Third floor flex-room features a private bath & closet. It can function as a 4th bedrm/gameroom/media. Escape to one of the multiple outdoor living areas, whether it be the 1st-floor back patio complete with artificial grass for low-maintenance or the enormous 3rd-floor rooftop deck complete with waterproof decking material. Prime location & remarkable finishes! © 2019 District Houston Realty. All Rights Reserved. Texas Real Estate Commission Consumer Protection Notice. Texas Real Estate Commission Information About Brokerage Services.